As mentioned in a previous post, I've been busy prepping for the upcoming Holiday Mini catalogue release, classes and workshops. 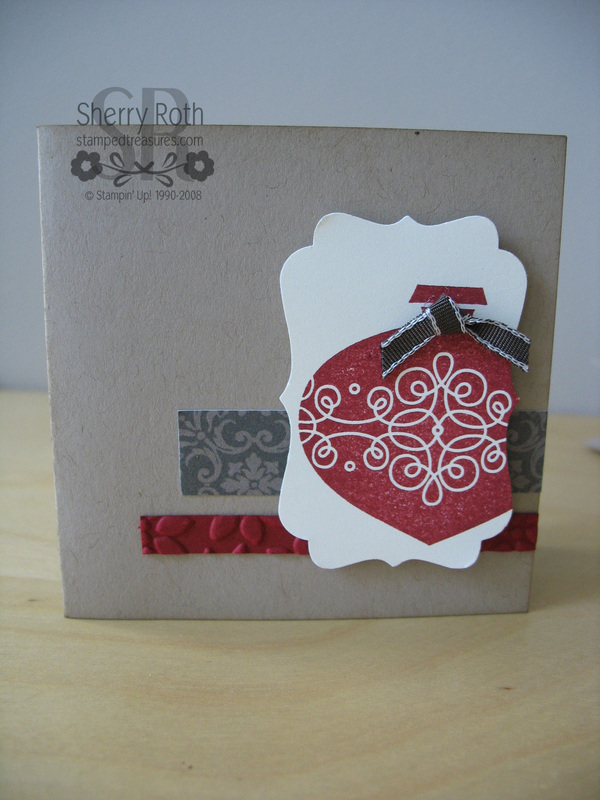 This was one of the projects I created using scraps leftover from another project. It showcases several products from the Holiday Mini which will be available September 1st. This was a really quick card - check out my video for details!